In conjunction with their latest capsule collection collaborating with Yo! 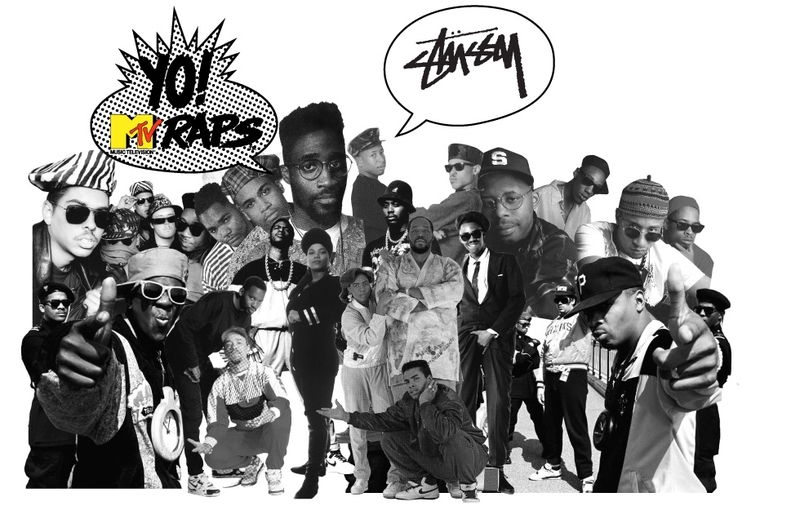 MTV Raps, Stussy has released a two-part documentary highlighting the monumental show, entitled We Were All Watching. The first part, “The Importance of Yo! MTV Raps”, showcases the rich and dynamic history of the revolutionary program. As for the second part, “Fashion in the Golden Age of Hip Hop”, it takes a look at all the hype trends that were going on during that era, to which you subsequently slap yourself for being reminded that you did actually rock your pants backwards and wore bootleg Cross Colours from the swap meet back in 3rd grade. Also, make sure to cop some of the gear from the Stussy x Yo! MTV Raps collection HERE, then get ready to do the Ed Lover Dance knowing that you have redeemed yourself on the style tip. To watch both parts of We Were All Watching, click on over HERE.